Have you ever put food in a container with the intention of using it that week, only to forget about it until the next week, and now you have to throw it out? How about juicing? Ever juice too much and don’t know what to do with the rest without it going bad or losing nutrients? I have the answer for you. This past week I had the privilege to test some products from Infinity Jars. I was very pleased with the results I got. I would like to share them with you. First Infinity Jars is a very reputable company with high reviews. 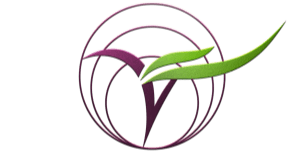 If you visit their website, infinityjars.com, you can read the reviews there for yourself. They also have a user-friendly website that is clean and easy to navigate. They pride themselves on their jars and bottles that protect and enhance the quality of the product it holds. The glass they use is a pigmented glass, not like all the others I have seen out there. This glass is really dark. These glass jars block out light that would be damaging to the product inside. But what is even more awesome is that this glass still allows infrared and UV-A rays inside, which is the type of light that have proven to help preserve and extend shelf life of food. Amazing, right?! 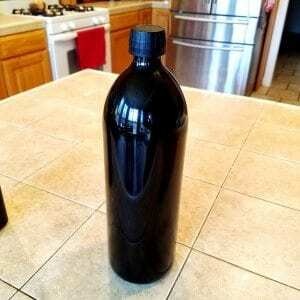 1 Liter Round Glass Bottle– This bottle blew me away the first time I saw it. Sleek in design and the weight of the glass showed it quality. I decided to use it two ways. First, I used it as a bottle to drink my fresh lemon and lime water from. Being this was such a heavy glass it was a little hard to drink from the bottle, but in all honesty, I don’t usually drink from the bottle from such a large container. LOL So, I decided to pour it into a glass from there on out. However, I left my water for a couple days out on the counter. In the past when I did this, my water would be “stale” in a matter of speaking. Not in this bottle. Even though it did lose temperature from not being in the fridge, it still tasted just as fresh as when I squeezed it. I was shocked. After I finished my lemon/lime water I washed the bottle. 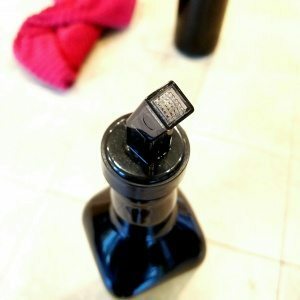 I will tell you it can be tricky as the opening is small, but I have other bottles with small openings too, so I use a baby bottle brush and it did the trick. I was a little worried that the bottle would take on the citrus taste since it had sat out so long. I was wrong. It did not hold the lemon or lime and I could use it again for another beverage. The second way I decided to try it was using the bottle to store my fresh juice. I tend to juice more than I should and I often times will need to pour it out due to the lack of nutrients and dwindled taste. This time, after juicing, I poured it into the 1 Liter Round Glass Bottle and stored it in my refrigerator. Side note: It looked really cool in there, all dark and sleek. Almost like a mystery of what could be inside. It actually comes with labels so, the mystery can be revealed. Ok, so I left the juice on purpose until the next morning. Whoa! Get out of town! You mean to tell me that my juice can taste as if I had juiced it that morning? No Way! I was impressed with how air-tight the bottle was that my juice remained so fresh. This is so worth the cost. The cost of this bottle is $24.00. For anyone who knows how important it is to keep juice and other food items fresh will tell you this is worth the cost. It is high quality and its light filtration system is like no other. You can purchase yours here. 750mL Square Glass Bottle with Oil Spout- Before I talk about my experience with this bottle, I want to let you know that there are several sizes available. The sizes range from 250mL to 1 Liter. I chose the 750mL as this is the amount of oil I buy when I shop for it. 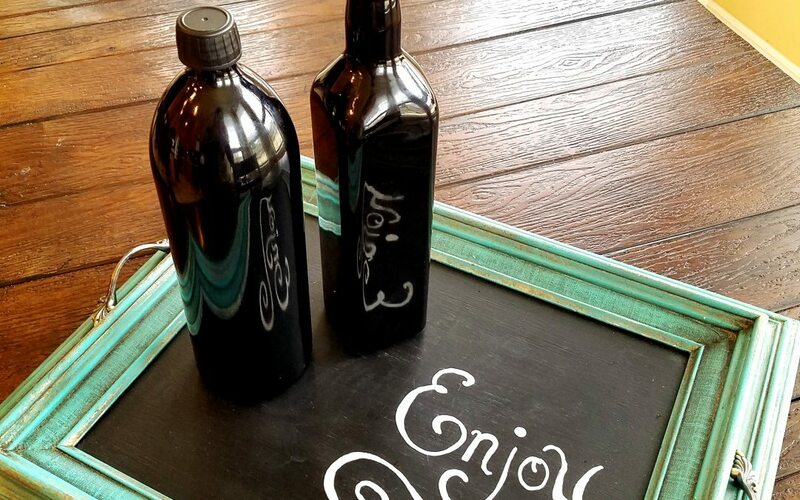 This bottle comes with labels, an oil spout, and a twist on cap. The look of this bottle is very sleek, just like the liter bottle I described above. It is very dark and looks nice sitting on my counter. The spout is easy to press on and pull off. When I pressed it down, I thought it screwed on too, I was wrong. It just pressed into the bottle top. If you want, the screw top lid is comes with it to make it air tight. There are many ways to use these bottles. I am very picky about my olive oil. I like it to taste as if it were freshly pressed. Once it gets that rancid taste, I pitch it. I take pride in the dishes I make and if I can’t use quality oil then I can’t have pride in that dish. 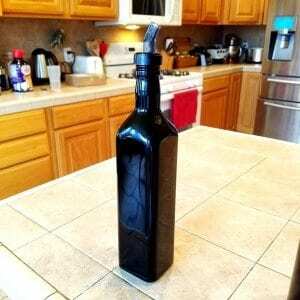 To avoid this, I usually have to buy my oil in small batches, or try to use the larger batches quickly. When I got the 750 mL Square Glass Bottle in the mail, I immediately put it to the test. I waited a week before testing the oil out. I decided to use the oil as a dipping bowl for some bread. Just as fresh as if I had just bought it. I put the twist cap on and stored it until I needed to use it. The air tight lid kept the oil fresh and the spout was easy to manage. To wash the spout. I let it soak in some hot soapy water before hand washing it. If I were to use the oil more frequently I would leave the spout in, but I like having the option. As I said this the first product, these bottles are worth the money. The cost of this bottle is $22.00. You can purchase it here. For anything that keeps my kitchen ingredients fresh and allows me to take pride in the food I make, is worth the cost. In my opinion, it is reasonable for the quality you get. Overall, Infinity jars have amazing products. I would highly recommend them to you. Oh! And not to forget my essential oiler friends. Their glass cosmetic bottles would be awesome for you and anyone who makes their own beauty products. Check them out today!